Today in my drawing class we had a model and we got to draw a portrait from life. That was really exciting for me, because I had never worked with a model for my drawings before! 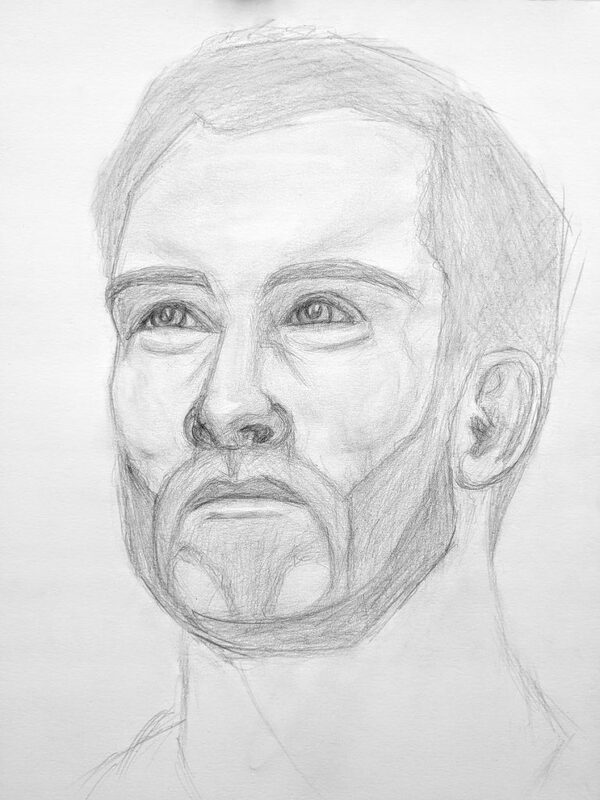 We only had the model for ~1 hour, so today’s portrait emphasized drawing it fast and just getting enough of the ideas down on the page to capture his likeness, and to be honest I liked that aspect of today, since the main thing I wish to improve about my drawing is my speed.